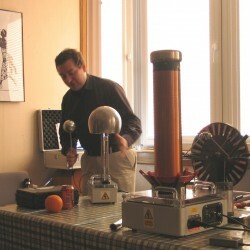 The Museum of Communication of Burntisland in Fife collaborates with Orkney Wireless Museum in putting on presentations in the annual Orkney International Science Festival, and the theme for the two museums this year will be early radio, with a lecture/demonstration on ‘Maxwell’s Waves’. 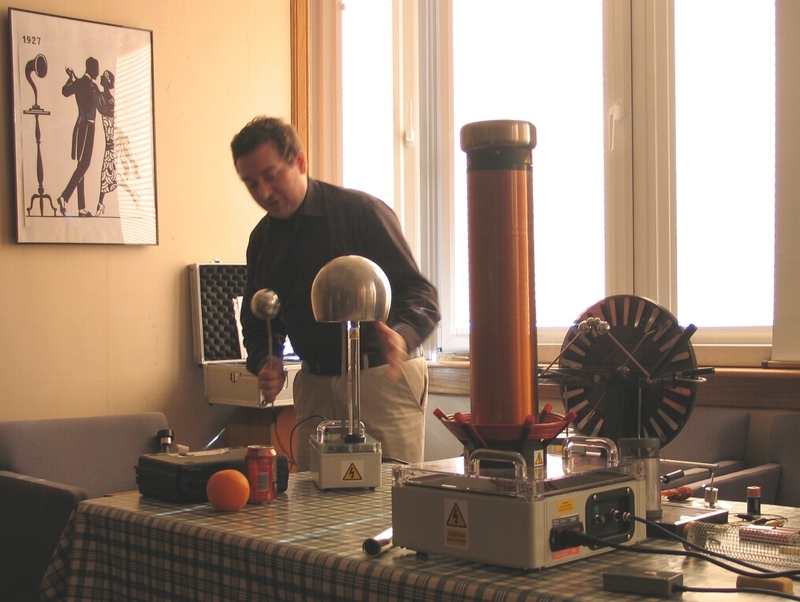 Prof. Tom Stevenson from Orkney, who has spoken in every Orkney Science Festival since the outset, is the chairman of the Museum of Communication. Here another of the trustees, Dorothy Brankin, tells its story. The Museum of Communication started life way back in 1973, when our founder, Harry Matthews, was convalescing after a heart attack. One day, during his daily walk, he noticed a battered old Ekco wireless, sitting in a dustbin. He’d had a very minor part in the original design, so it was immediately ‘rescued’, taken home and restored to a very high standard. When he had fully recovered and was back at work (Edinburgh University), the wireless went with him and was displayed in the Radio Lab in the Department of Electrical Engineering. By the end of the month he had a table full of donations! …. then two tables … then curtains round the tables to use the floor space below …. 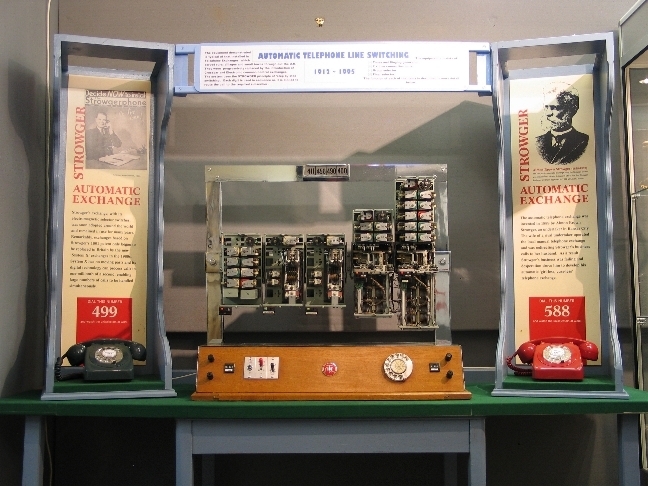 After about five years, Harry’s wireless collection occupied two large crush halls and the tall cases that had originally housed the Burke and Hare exhibits! At this point, Harry realised it was crunch time: he was either going to have to get rid of the lot, or turn it into a ‘real’ museum. Fortunately for us all, Harry didn’t do ‘throwing out’ – and at this point, the Museum of Communication was born. 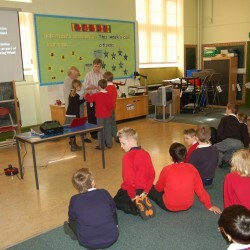 For the next 20-odd years, we put on small, short-term displays wherever and whenever we were invited. Meanwhile, the collection was growing rapidly and storage was becoming a major problem. After moving the entire collection more than a dozen times, the problem was finally resolved in November 2003, when we purchased an ex-servicemens’ social club in Burntisland. The building had lain empty for almost four years and was in a very dilapidated condition. This was reflected in the price – which meant for us that it was affordable! Thanks to the immense generosity and support of our members, we were able to purchase ’131 High Street’ outright. The front of the property is two-storeyed and dates from the 1970s, whilst the single-storey rear portion is much older. Altogether, the total floor area is about 5,000 sq ft and includes some cellarage. The first 18 months were spent feverishly ripping out rotten timber and old fittings, but by 2005 sufficient remedial work had been done to allow us to create an exhibition space in the Club’s former main bar and admit the public for the first time. We even managed to construct a temporary Radio Room in a corner – but beyond the curtain, the rest of the building was like a bomb site …. Things moved on rapidly and thanks to major funding from the Heritage Lottery and Burntisland Development Trust, we were able to complete a refurbishment programme that provides environmentally sensitive storage for the bulk of the collection, as well as install new heating and replacement windows throughout. The Museum of Communication specialises in communications technology from the pre-electric optical telegraph used in the Napoleonic Wars to the latest state-of-the-art webcams and cameras for mobile phones, currently featured in the Guinness Book of World Records! 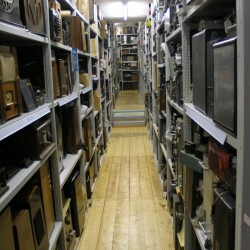 The collection currently comprises well over 40 tonnes of artefacts covering electrostatics, telegraphy, telephony, audio, radio, television and video and IT – as well as some early experimental radar, satellite, photographic and printing equipment, plus a technical library of scientific literature and related documentation. We mount themed exhibitions throughout the summer months, which are designed to stimulate, entertain and educate the public. 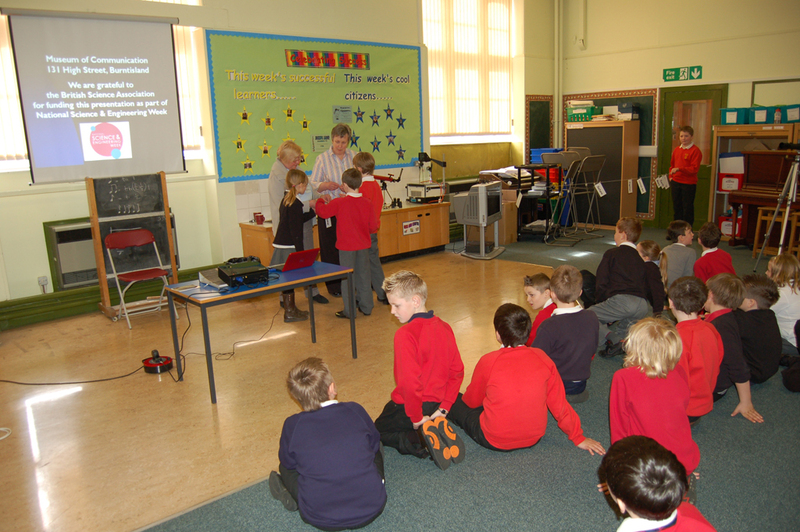 We run a very popular series of monthly lectures on a wide variety of subjects and are also developing an outreach education programme, aimed at encouraging young people to consider careers in science and engineering. We have a replica of Alexander Graham Bell’s original telephone of 1876, and also examples of telephones from the 1890s, through to a very early ‘Mobile’ of the ‘80s – known as ‘The Brick’ for obvious reasons! 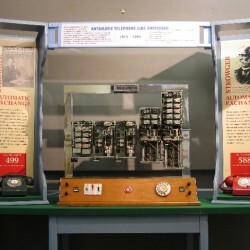 – and not forgetting the notorious ‘Trimphone’, which everyone remembers but nobody liked! We also have a very popular working Strowger Telephone Exchange. We have various wind-up gramophones dating from the early 1900s to the teenagers’ ‘must have’ portable record-players of the 1960s – as well as a couple of 19th-century Graphophones, complete with wax cylinders. 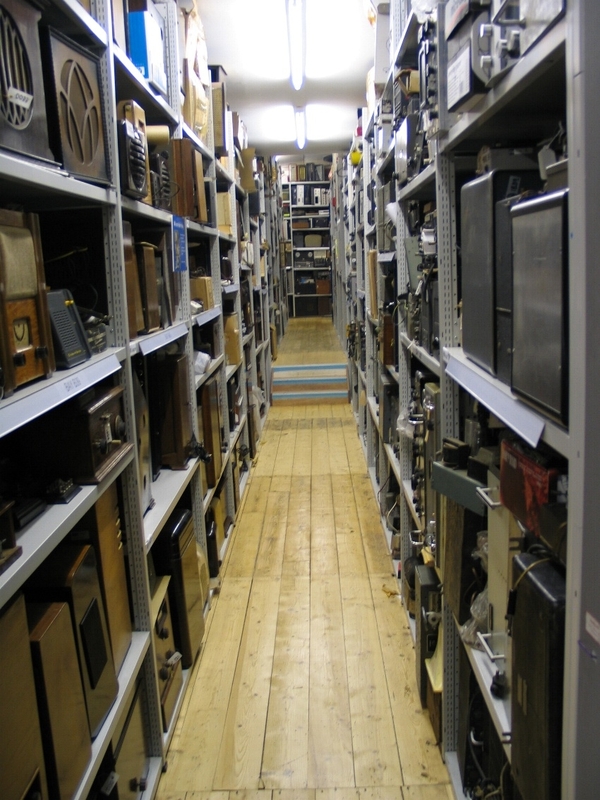 Our radios include a 1922 AJS, with valves sitting on the front; a wartime civilian receiver made out of plywood; a couple of very attractive bakelite models from the 30s; a few ‘trannies’ – including a ‘pop-art’ radio in the form of a 1928 Sports Car, whose spare wheel is the volume control. And we have a few microphones – including one made out of a tea strainer. Or you can email us at mocenquiries@tiscali.co.uk or telephone 01592 874 836. Prof. Tom Stevenson and Dorothy Brankin from the Museum of Communication, together with Sandy Firth from Orkney Wireless Museum, will tell the story of ‘Big Bill and the Guns of Alamein’ in the 2017 Orkney International Science Festival, on Monday 11 September in the Orkney Theatre, Kirkwall, at 7.30 pm.